The Light of Christ Church family in Nanaimo recently shared in the making of a new processional cross. 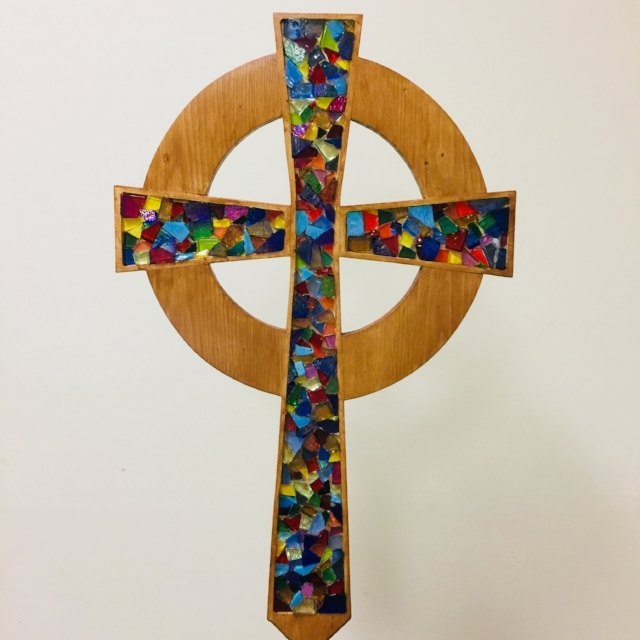 Member Kent Morgan created the wooden frame, and then the entire congregation participated in its creation by adding different colored shards of glass. The Celtic form of the processional cross serves as a reminder of our call to mission in the apostolic tradition of the Celtic missionaries of the 5th and 6th centuries. “The different colored shards of glass symbolize how sin has affected each one of us, and the brokenness that caused Jesus to go to the cross,” shares Kathy King, rector of Light of Christ. “But because Jesus went to the cross for us we are made whole in Him." The Light of Christ Church worships weekly in Nanaimo at 10:30 AM.